I came across this book wandering in the library stacks. Having read it many years ago, I really liked it, so I decided to pass on my experience. 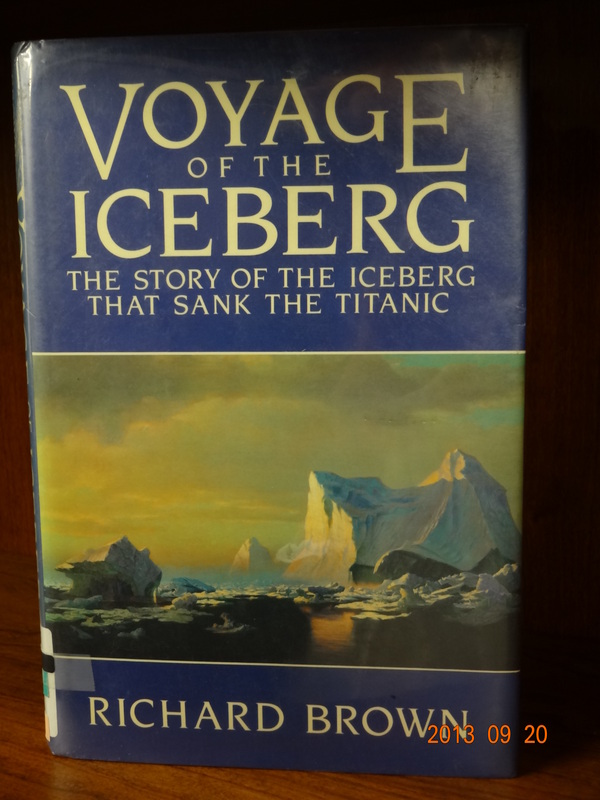 I used to describe this book as about the sinking of the Titanic from the iceberg’s point of view, but the Titanic plays a small part in the story. The book is about how an iceberg is created in the far north, only Brown selects the most famous iceberg in history to tell the story. Icebergs are created from calving in Greenland. The Atlantic currents carry them down the North American coast, passing Labrador and down to the Great Banks, where this iceberg encounters the Titanic. As the iceberg travels, we are told what the iceberg “sees” going on along the shore. Cultures, animals, explorers–and some history–is what we learn about as the iceberg travels down to its encounter with fame–er, imfamy. It’s history of the area as well as natural history which, if you like to learn new things, you will find this book of interest. The book is only 152 pages. Some might not like it, but it is an easy read, and I thought it was a hoot.